Loan Cancellation: Is It An Option For You? When it comes time to plan for college, most students will need to consider some form of financial aid. Grants and scholarships may pay some of your tuition bills, but they rarely cover all the costs of a college education. Moreover, many students do not qualify for grants due to their financial status, and may not have been fortunate enough to win a sizable scholarship award. Student loans can help bridge the financial gap, and allow students to realize their dream of a college education. While student loans are a a great asset to students trying to pay for college, they can also turn into a large burden. Interest accrues, debt mounts, and the average student can find themselves facing a sizable financial responsibility following graduation. For students pursuing a teaching degree, and a career as an educator, there are remedies available to help them eliminate their student loan debt completely. If you plan on becoming a teacher following graduation, student loan cancellation may be the answer you've been searching for. Student loan cancellation, or student loan forgiveness, is a method of disposing of your student loan in return for service in a critical need profession. Through a student loan cancellation program, you can have all your student loan debt erased with no damage or loss to you personal credit. On paper it will appear as if you have paid the loan off in full. Graduates who qualify for loan cancellation must agree to certain employment obligations, and it should be noted that not all graduates will be eligible for these highly sought after programs. When Can I Get My Student Loans Canceled? Students may qualify for loan cancellation programs if they agree to take up full time teaching positions in low income communities, or teaching critical need subjects. These programs provide loan cancellation for contractual service, and you will be required to complete the agreed upon term of service to receive total loan cancellation. 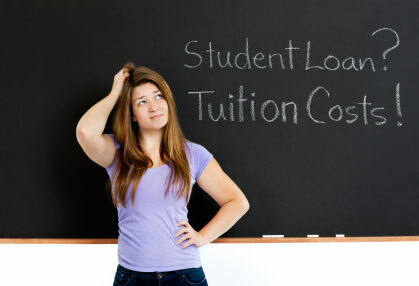 Students should take note that not all graduates will qualify for a loan cancellation program. Many Federal loan programs offer loan cancellation for eligible graduates. Students holding a Federal Perkins Loan may have their government loans canceled if they agree to teach in a low income school district. Your Perkins loan may also be eligible for cancellation if you take a position teaching special education, or teaching a critical need subject as designated by your state's board of education. Stringent requirements must be met in order to qualify for loan cancellation, and students should investigate the government's programs fully. Students with a Federal Stafford Loan can have their government education loans canceled if they agree to teach for five consecutive academic years in an elementary or secondary school serving low-income families. This program provides loan forgiveness up to a combined total of $17,500 in principal and interest for your Federal Stafford Loan. Again, not all students will qualify for this program, and special attention is given to students taking positions teaching science, mathematics and special education. Why Should I Try To Get My Student Loans Canceled? The Federal government's student loan cancellation programs provide much needed financial assistance to graduates holding large amounts of college debt. Those students who do not qualify for grants or scholarship, may look at these programs as a way to make their education costs much more manageable. Students studying to become teachers, are embarking on a career path that offers many rewards as well as many challenges. Loan cancellation is one of the more practical rewards that may be available to you. With the right program you can dispose of your college debt, and begin your teaching career without the burden of outstanding student loans.